The next generation 3-Series (codenamed G20) is expected to come out sometime in 2018 and will obviously spawn a new M3 (and M4 Coupe) likely before the end of the decade. It is believed the high-powered duo will continue with an inline-six engine just like the current cars but output will be boosted to as much as 500 HP (368 kW), representing a significant 69 HP (51 kW) increase. 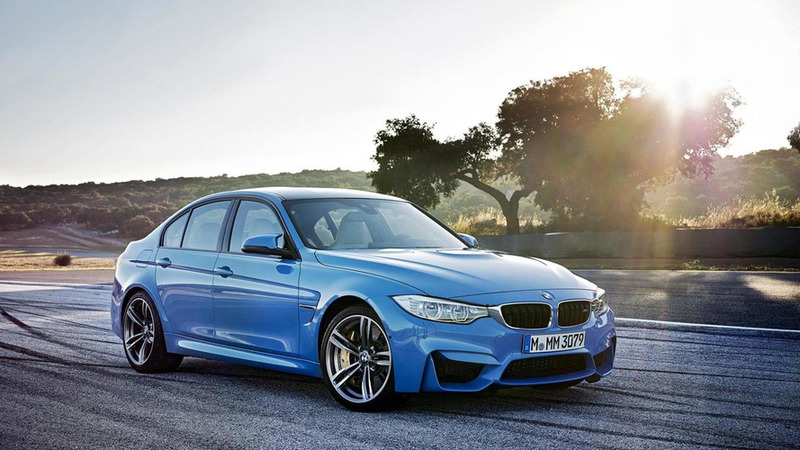 This will be possible by adopting a pair of electric turbochargers as well as a water injection system as previewed in the 2015 M4 Coupe MotoGP safety car. As for the regular 3-Series, it will allegedly provide a softer ride but at the same time a sportier chassis featuring adjustable suspension dampers and switchable anti-roll bars. Moreover, expect an active steering system and torque vectoring working together with the ABS and stability control systems. The new 3-Series should boast a lower center of gravity and is believed to get wider tracks and a stretched wheelbase. Other goodies planned for BMW's compact sedan include beefier brakes, adaptive suspension, revised AWD with faster torque distribution, reduced-friction wheel bearings and even aluminum & carbon fiber compound wheels. The 2.0- and 3.0-liter turbocharged gasoline engines will get more power and there should be at least two plug-in hybrid models. One of them will mix a three-cylinder 1.5-liter with a 60 kW electric motor while the other will get a larger four-cylinder 2.0-liter and a 90 kW electric motor. The former should offer an electric range of 30 miles (48 km) whereas the stronger model should do 50 miles (80 km) miles of zero-emission driving. Riding on the CLAR (cluster architecture), the new BMW 3-Series is expected to provide a sportier design while on the inside expect to find pop-up speakers, voice-activated iDrive and a head-up display. Following the sedan's launch, BMW will launch the 3-Series Touring (wagon) and 4-Series Coupe versions as well as a long wheelbase 3-Series Sedan for United States and China. Lastly, the report mentions BMW could decide to combine the 3-Series Gran Turismo and the 4-Series Gran Coupe models into a single car while the 4-Series Convertible is rumored to make the switch to a fabric roof. Check out the source link below for the full report.